Familiarize yourself with your line-up: Take a look at the line-up of scheduled radio interviews prepared by your broadcast specialist for your radio media tour. The grid will tell you how long the RMT will be and which stations you’ll be speaking with. See if there’s a local angle you can offer for different markets. 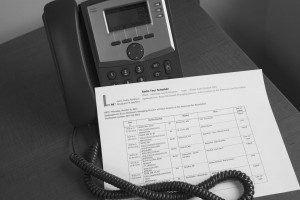 Use a landline: Clear and simple: the sound quality of a landline telephone is still better and more reliable than any other alternative for use on radio. In order for the radio producer to be able to use your interview, it’s best to provide them with the clearest phone line available. But please use the handset: speakerphones tend to echo and pick-up background noise. Be comfortable: The interviewer is interested in hearing what you have to say. You’re the expert here, so be equipped with the notes and stats necessary to support your case. Offer anecdotes. Try to localize a story if possible. Have water nearby: Make sure to drink plenty of water before and in between interviews during your radio media tour to remain hydrated and retain a clear-sounding speaking voice. Smile, stand up, use your hands: Sometimes the easiest way for your voice to come through sounding confident, positive and friendly during radio media tour interviews is to simply smile. Standing up or gesturing naturally with your hands as you would while speaking can also help you come across well during a radio media tour. Taped Interviews: Avoid saying the host’s name during a taped interview. It’s likely that the host will cut and play the interview throughout different timed-segments of a radio media tour. The host or producer will most likely come off the air and thank you for the interview. DON’T HANG UP THE PHONE!! The conference center will come back on the line, and open up the phones to the guest (you) and the moderator, while the conferencing host will dial out to the next radio station. 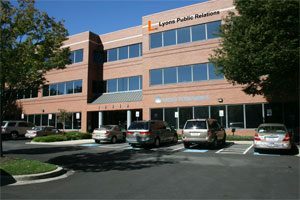 To learn more about planning a Radio Media Tour contact your Lyons PR team today.